New modern house with 4 bedrooms near the new French School. 5 bedroom house near international schools. 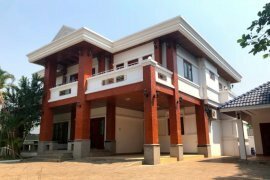 Big villa for rent near Mekong River and city center. Huge house for rent near Mekong River and city center. 3 bedroom house near Mekong River. 3 bedroom house near National Circus. 3 bedroom house with Mekong river view. 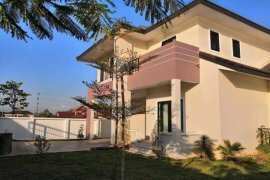 Nice house for rent in sisattanak district Vientiane Laos. Very nice house for rent in sisattanak district, with small garden, fully furnished home. Modern house for rent close to Mekong River, in Vientiane Laos. Lao modern home for rent in Vientiane Laos. Lovely house for rent close to city centre. Lovely house for rent in Vientiane Laos. House for rent in Vientiane Laos. Hello, Please contact me, I am interested in properties for Rent in Laos. Best Regards. Dot Property is Laos’s leading real estate rental resource, listing 272 affordable properties for rent in Laos. Properties range from condominiums, houses, townhouses and villas. Rental property listings are provided by Laos’s top real estate agents, professionals and private home owners. Find your perfect home by refining your search with the tools provided, Dot Property allows users to filter by price, location and the amount of rooms. You can also create your own rental listing by uploading your property for rent in Laos by creating a free account. In addition to Laos’s property for rent, Dot Property also hosts thousands of properties for sale, commercial listings and new homes.